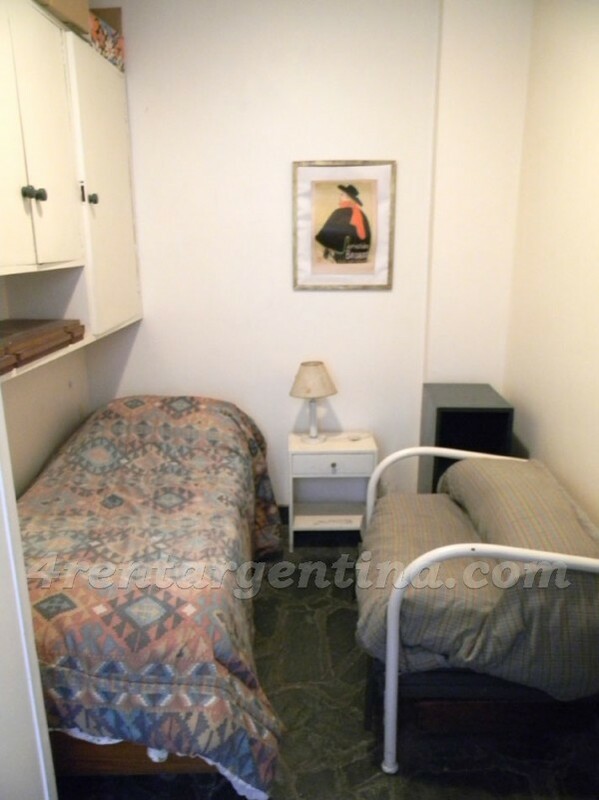 1 guest 2 guests 3 guests 4 guests 5 guests / 5 max. 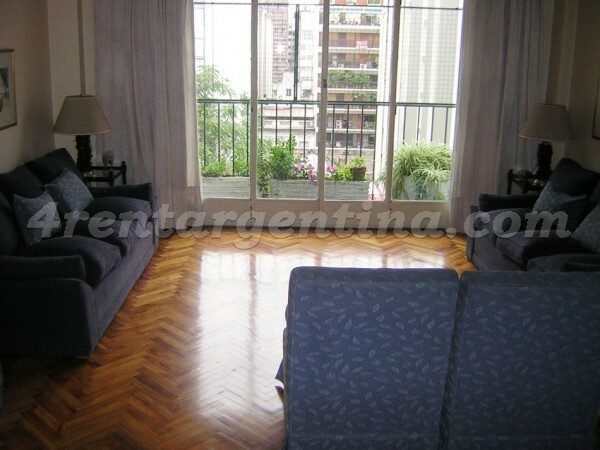 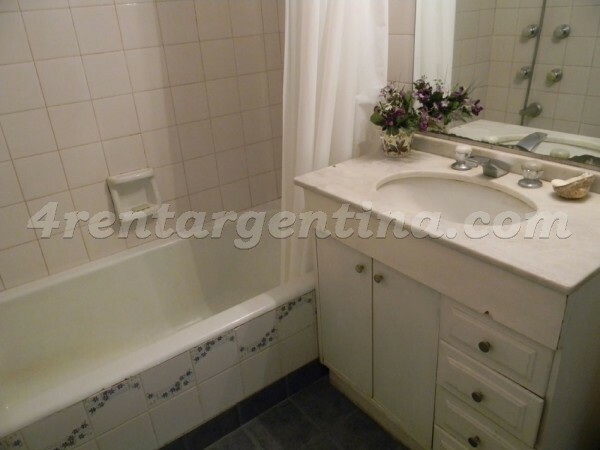 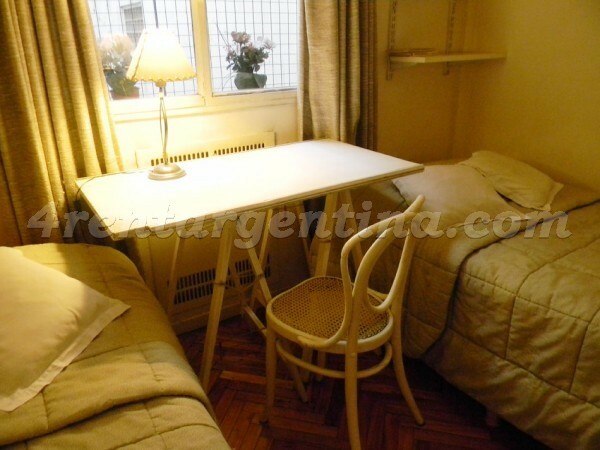 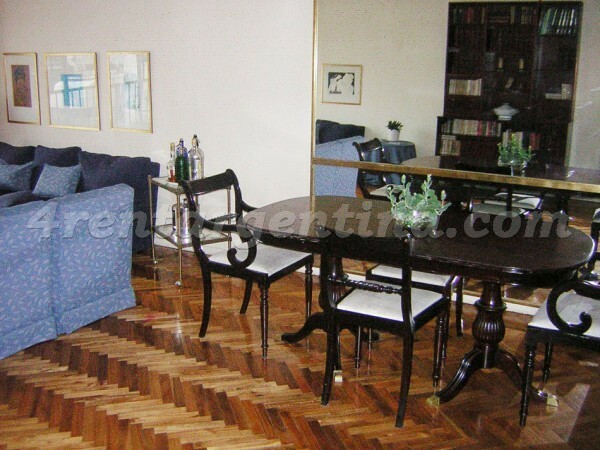 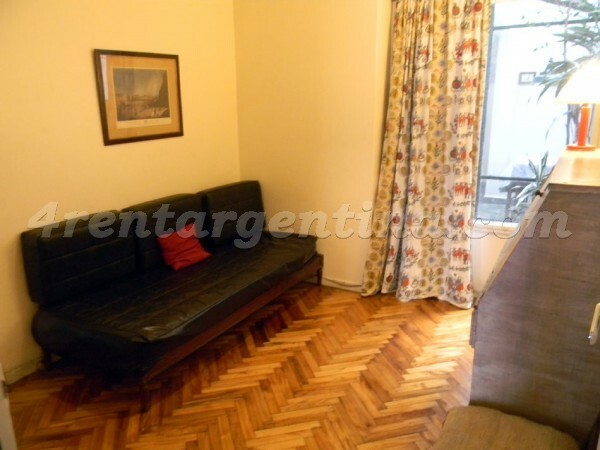 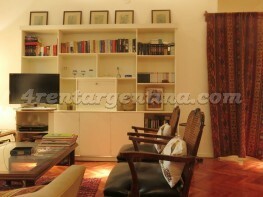 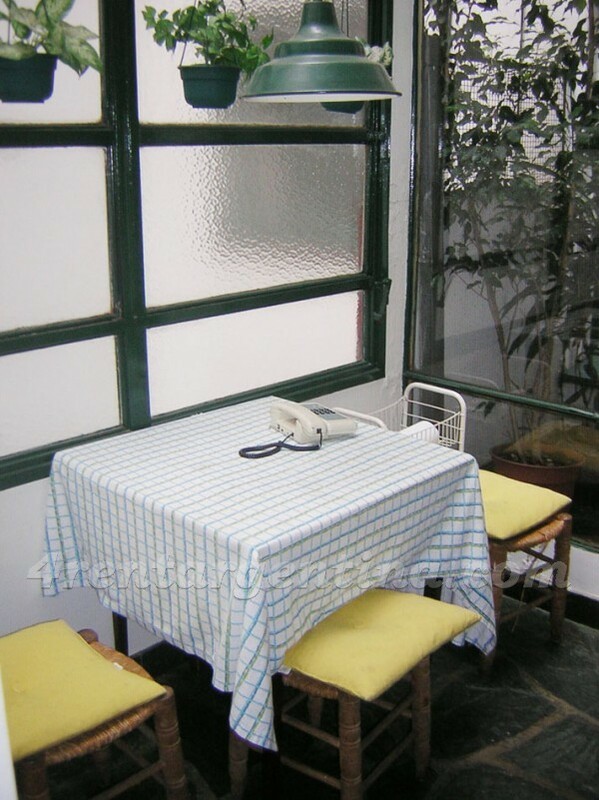 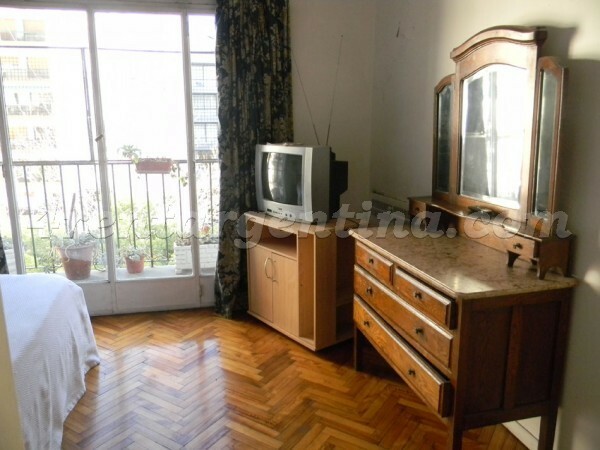 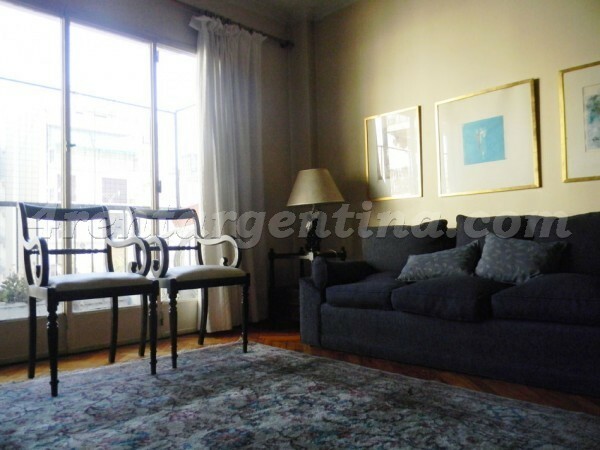 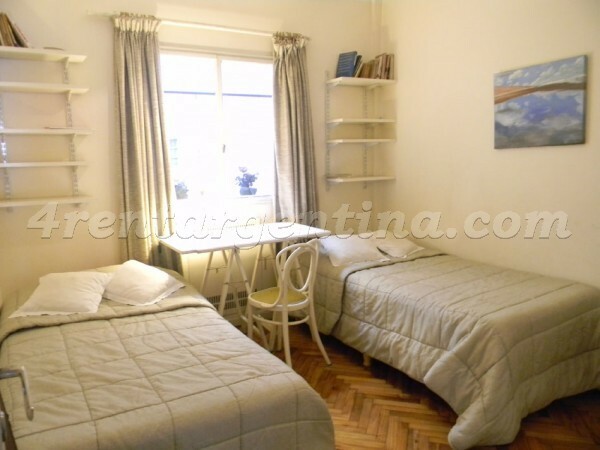 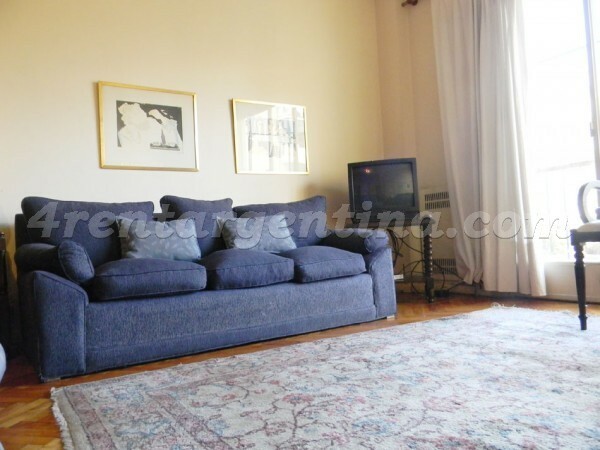 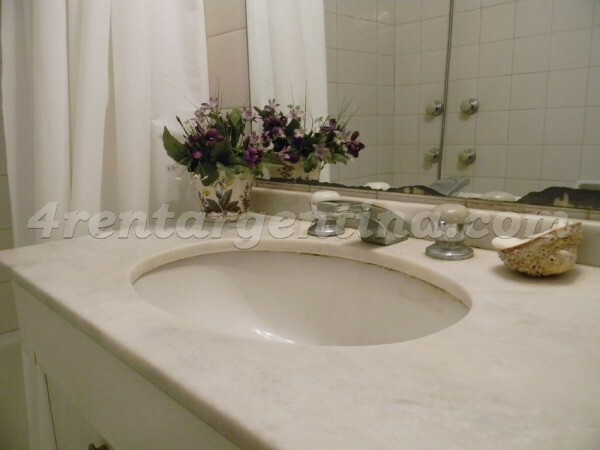 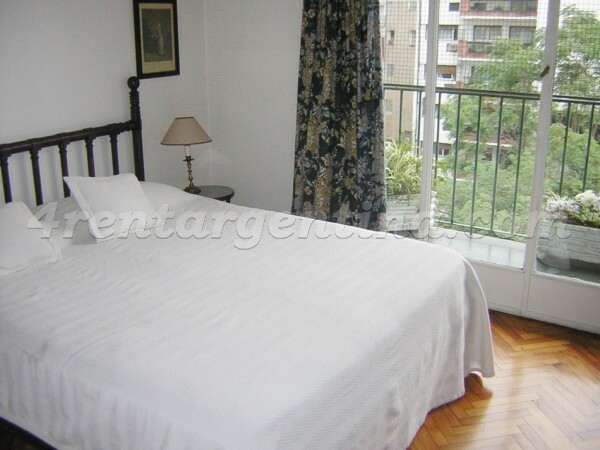 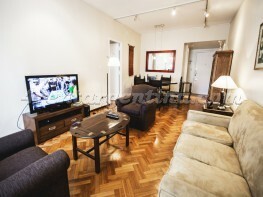 Beautiful furnished apartment for temporary rent in Argentina located in Recoleta one of the most prestigious neighborhoods in Buenos Aires,  on Las Heras Avenue, in an area surrounded by spectacular bars, restaurants and parks. 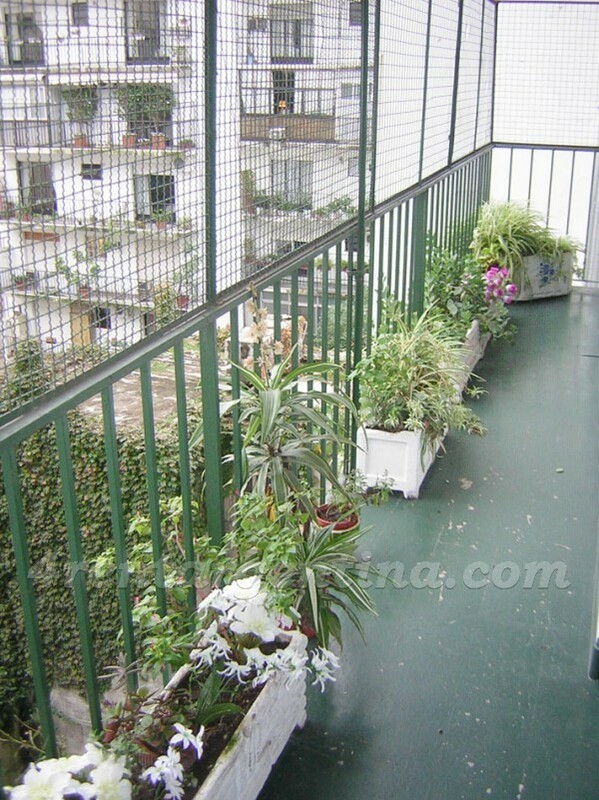 This apartment is very luminous thanks to its balcony, has wooden floors and a nice decoration, and is ideal for five people. 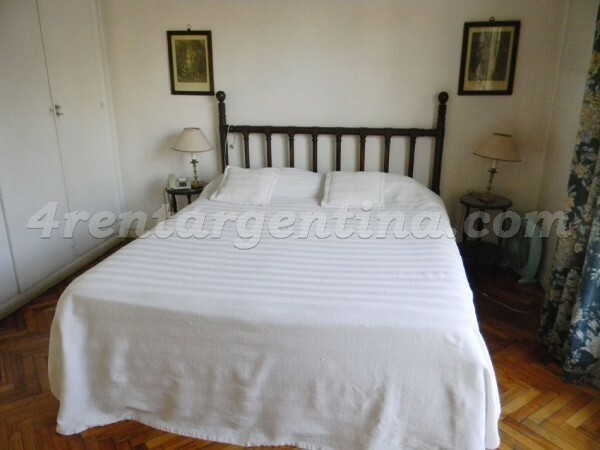 It features a spacious living-room with sofas and a table with chairs, a fully-equipped kitchen with an oven, two full bathrooms with a bath, a toilette and four bedrooms two with a single bed each one, another with a single bed and the fourth one with a double bed. 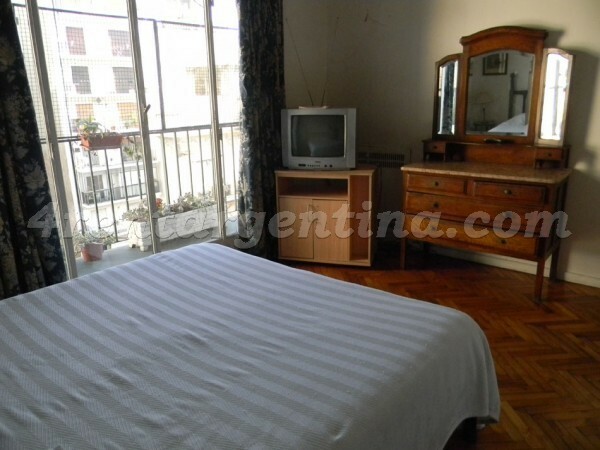 Besides, it has safe box, cable TV and washing machine. 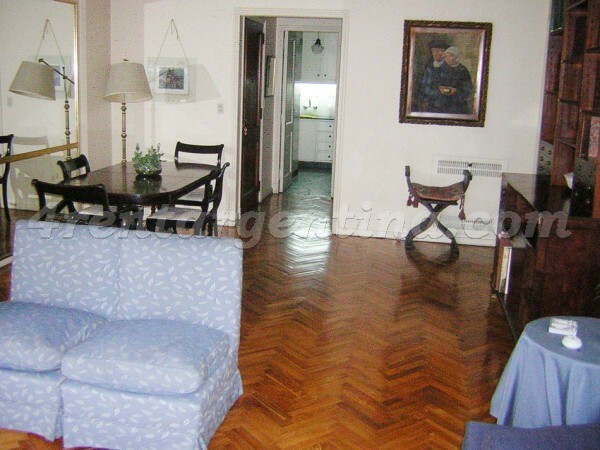 Excelente apartamento, excelente atendimento, excelente localização, proprietária simpaticíssima e muito gentil. 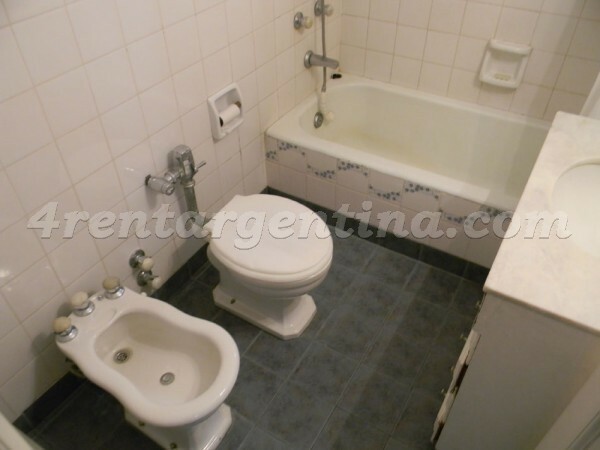 Foi tudo de bom e nos proporcionou excelente estadia em Buenos Aires. 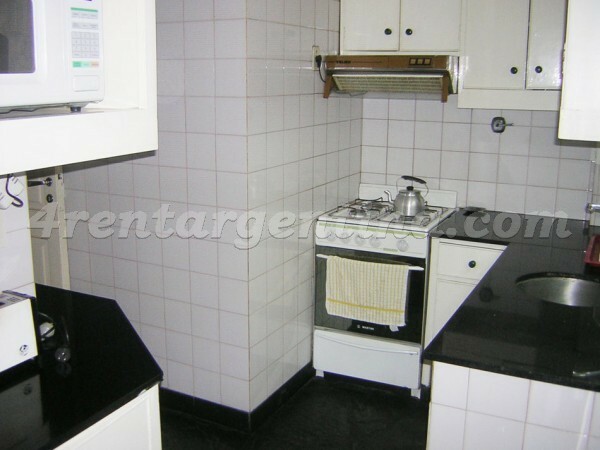 Voltaremos outras vezes e, se puder, para o mesmo apartamento.